Designed for high temperatures, polluted air, and corrosive environments, Des-Case Rebuildable Steel Breathers are made of rugged, powder-coated carbon steel or stainless steel. 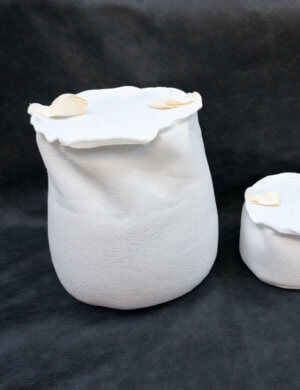 The workhorses inside are desiccant-filled polypropylene bag filters and 1-micron pleated filters, which are convenient to replace when recharging the units. Rebuildable Steel Breathers accommodate large air flow rates (80 to 270 cfm @ 0.5 psid) with minimal pressure drops. 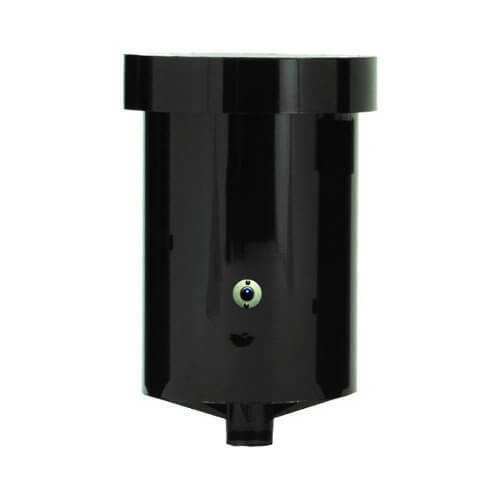 Efficiency is 1µ absolute (β1≥1000), temperature range is -20˚F–200˚F, and connections are 2″ to 4″ with adapters available from 1″ to 4″. Choose 316 Stainless for the highest corrosion resistance. Most sizes are available for online purchase. For the largest sizes (DC-RS-100, DC-RS-150, and DC-RS-200), please contact us for a quote. *Contact us to purchase these largest sizes of rebuildable breathers. This is the page for Des-Case DC-RS breathers. 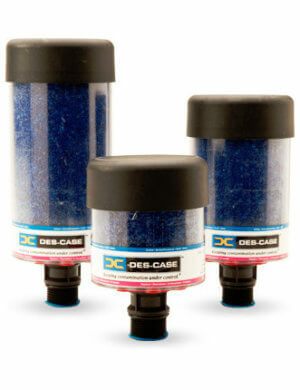 If you have discontinued DC/CS or DC/SS breathers instead, we can supply replacement desiccant bag filters for them.